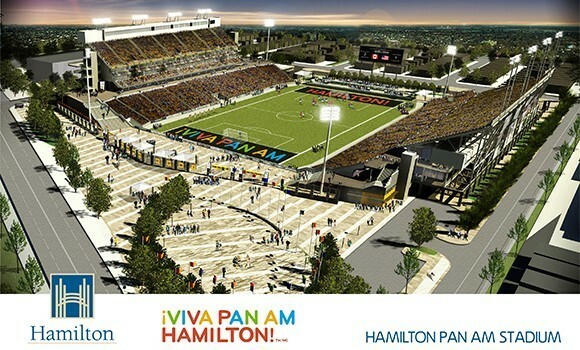 Wishing all the athletes competing in Football (soccer) a warm Hamilton welcome, and hoping these Games bring a positive experience of sport, fellowship and community spirit to all who attend and participate. Thank you to the many volunteers who will help make the Games a success. Looking forward to taking in some of the action at the new stadium! Thanks to all who volunteer! Ernie’s in the house…and 3 cheers for Bo! The buzz on the course at Hamilton Golf & Country Club today included the excitement surrounding the arrival of Open Champion, Ernie Els, who will compete this week in the RBC Canadian Open. But on a quiet corner of the course, early in the day, six generous supporters of the Community Child Abuse Council got a real treat when they joined PGA Tour Pro, Bo Van Pelt, for a private clinic. These donors paid to spend time with Bo, get tips on their short game, and putting advice, all to raise funds for the Council’s child abuse treatment, prevention, and education programs. Bo Van Pelt didn’t disappoint…he spent individual time with each of the six, provided valuable insights and tips, and shared his knowledge of the game openly. After the exclusive clinic, Bo joined the group for lunch in the RBC Clubhouse Suite and talked about all things golf…life on the tour, competing with the world’s best, juggling family life with career duties, and the quirks of tournament play. He’s a personable and generous man, and a bighearted supporter of the charities selected to partner with tournament stops on the PGA Tour. The hat he wears this week during competition will bear the logo of the Community Child Abuse Council, part of his ongoing support of the many causes embraced by professional golf and its sponsors. This is an incredibly important week for the Council. Amid the helicopters delivering golf’s royalty onto the course and the media scrambling for the action shots, humble volunteers are engaging golf fans and community attendees in work that will prevail long after the tournament ends. Their efforts over the next several days will help to ensure the right help is there at the right time for children who turn to us for hope and healing after the pain and trauma of abuse. Every purple ribbon they sell, every person they speak with, and every moment they spend being ambassadors for this important cause will leave a lasting legacy that far outlasts the buzz on the course. Thanks Bo, and good luck this week. 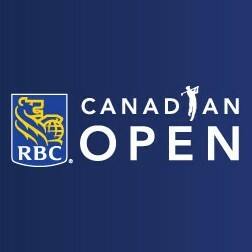 The 2012 RBC Canadian Open (July 23-29) will be an exciting week of golf, and also an unprecedented week of fundraising for this year’s Local Charity Partner, the Community Child Abuse Council. Recruitment is now underway to assemble a team of volunteers willing to help the Council on-site during the week of the tournament…all part of the Council’s Heart of the OPEN Campaign to raise funds in support of child abuse education, prevention, and treatment programs. Can you spare some time to help out that week? If so, please visit the Council’s web site (www.childabusecouncil.on.ca) and look for the green “Volunteers” button on the home page…that will link you to a volunteer portal where you can register and join the team. There will be shifts each day, from Monday to Sunday, requiring more than 200 volunteers in total. All the action takes place at the beautiful Hamilton Golf & Country Club (in Ancaster), where volunteers will have a chance to soak up the atmosphere at one of the world’s leading golf tournaments before/after their shifts. So, please consider coming out to help, and know that each moment you give to the Council as a volunteer will directly help to make sure vital services are available to abused children and youth when they need them. THANK YOU! Campaign officially launched…and you can help! The Community Child Abuse Council’s Heart of the Open campaign kicked off officially today, beginning an unprecedented effort to raise funds in support of child abuse education, prevention, and treatment programs. Details about the campaign – and how you can help – are posted on the Council’s web site: www.childabusecouncil.on.ca. In partnership with the 2012 RBC Canadian Open, the Council is selling “inside the ropes” experience packages, corporate hospitality packages, and group tickets that get golf fans up close and into the action for the RBC Canadian Open’s return to the Hamilton Golf & Country Club, July 23-29. The Council’s team of volunteers will also be on-site at the tournament selling reuseable water bottles and purple awareness ribbons. Proceeds from all campaign activities will support vital prevention, education and treatment programs for child and youth victims of abuse and trauma. number whose lives are affected – shouldn’t we be able to help each and every one of them? I had the pleasure of presiding at the induction of two new Leaders for Kids today at a breakfast event hosted by students at Mohawk College. Leaders for Kids is an initiative of the Community Child Abuse Council, bringing together community leaders from all walks of life in support of the Council’s vision of a community free of child abuse. These are individuals who step up, speak out, and lend their support to the Council’s work with child and youth victims of sexual abuse and trauma. They go above and beyond, and are recognized as Leaders for Kids in appreciation of their commitment and contributions. Today’s honourees were Laura Gainey and Vince Isber from RBC, who were both instrumental in the Council’s selection as Local Charity Partner for the 2012 RBC Canadian Open. They join a group of bighearted and generous friends to the Council, all tremendous partners who set an example for community involvement and leadership. Laura Gainey is the first Honourary Leader for Kids ever inducted into this group. In fact, the Council has never before included anyone from outside the Hamilton community. But Laura has embraced our work and supported our efforts in influential ways, and you would be hard-pressed to guess that she wasn’t a Hamiltonian if observing her commitment to local children. Vince Isber is an active and respected community booster, whose involvement with numerous community organizations and projects is admirable. Vince has stepped forward to support the Council in generous ways, and is coordinating the involvement of RBC employees from across this region in the Council’s Heart of the Open fundraising campaign. These two Leaders for Kids exemplify what it means to get behind a cause and are demonstrating what is possible when leaders offer their talents and ideas to support an important community issue. Laura and Vince visited the Council several months ago, and showed a keen interest in its programs and services provided to abused children and youth. They asked thoughtful questions and followed up by taking action on the things they learned that were needed in order to meet the needs of more youngsters affected by the trauma of abuse. They deserve the honour they received today, and they join an impressive group of like-minded community members who are making a difference each and every day in the fight against child abuse. Congratulations Laura and Vince, and thank you to all our Leaders for Kids.